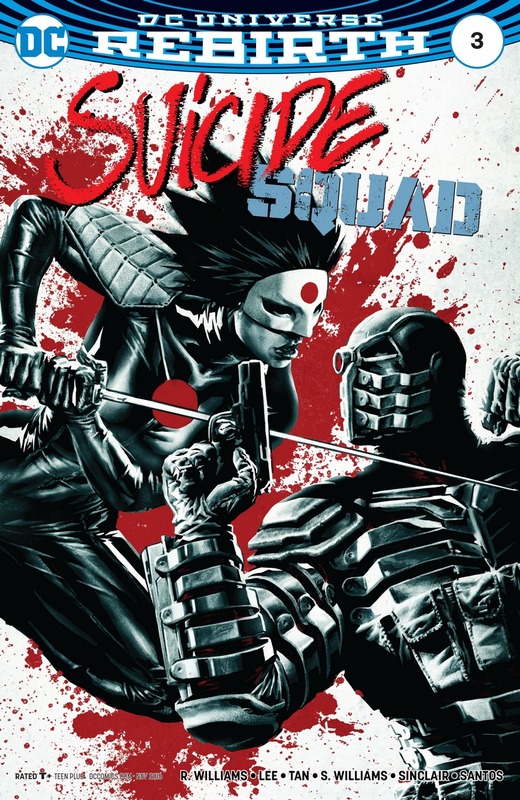 You read that title right, Suicide Squad # 3’s main highlight was the unexpected fight between Suicide Squad member Katana and mad Kryptonian General Zod who was released from the Phantom Zone in Suicide Squad # 2. 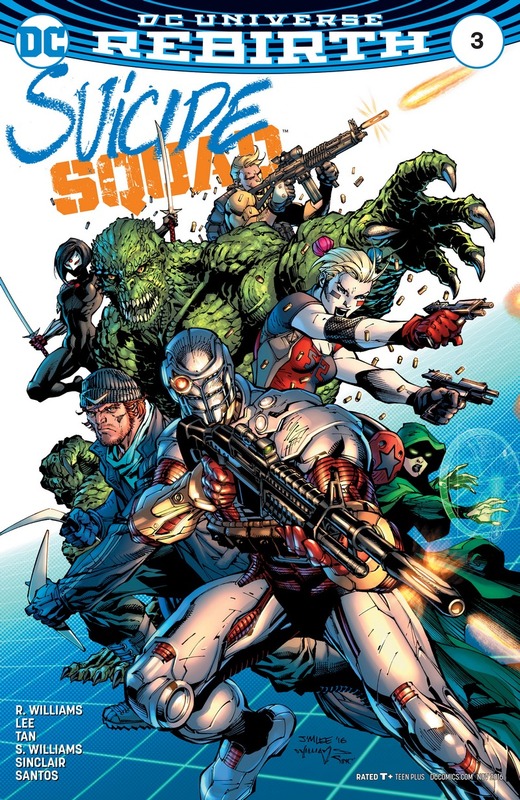 Suicide Squad # 3 is written by Rob Williams with art by Jim Lee. 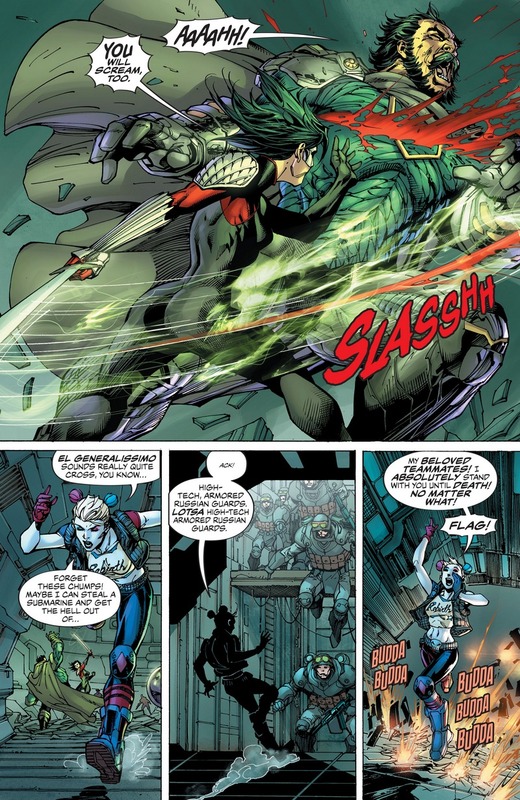 In this issue, we pick up right after Zod’s appearance and the death of Captain Boomerang. 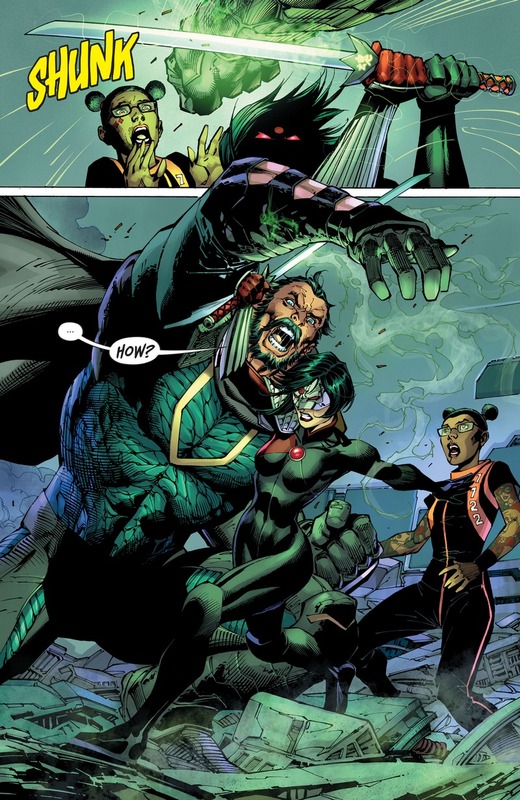 The team struggles to find a way to beat the Kryptonian but is having a hard time. 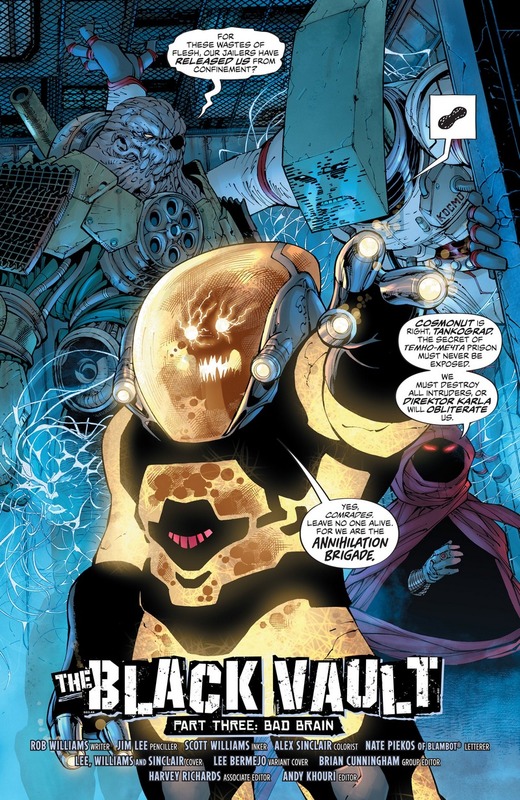 While the team is focused on the fight, their mission, the metahuman called Hack is finding a way for them to escape this prison complex. 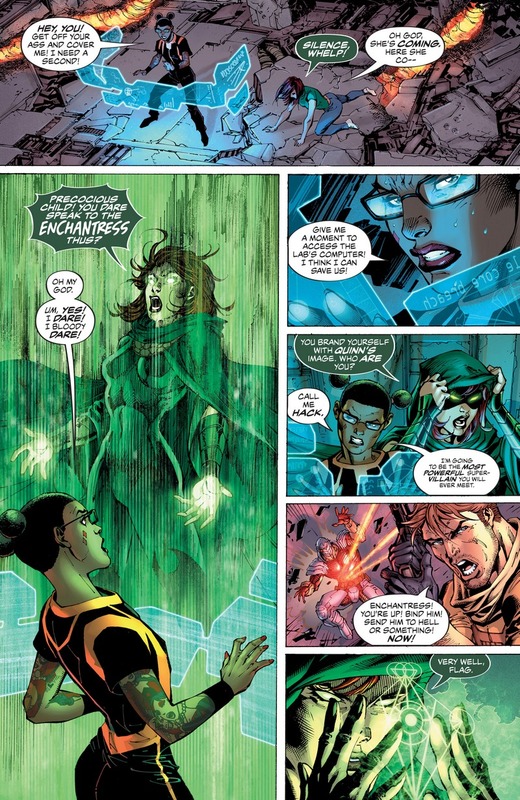 The Enchantress also shows up finally and they Rick Flagg thinks that her appearance can even out the odds. This is after all magic, one weakness that Kryptonians can never deny. 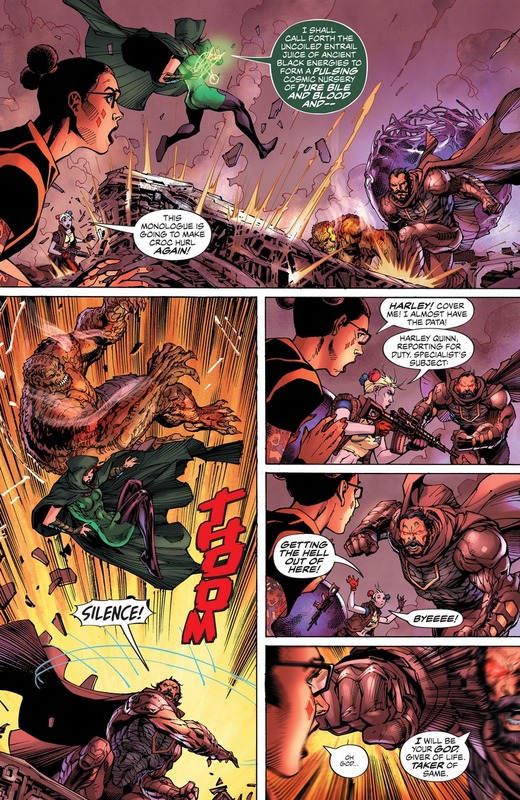 Too bad though, Zod notices and throws Killer Croc at Enchantress’ general direction. 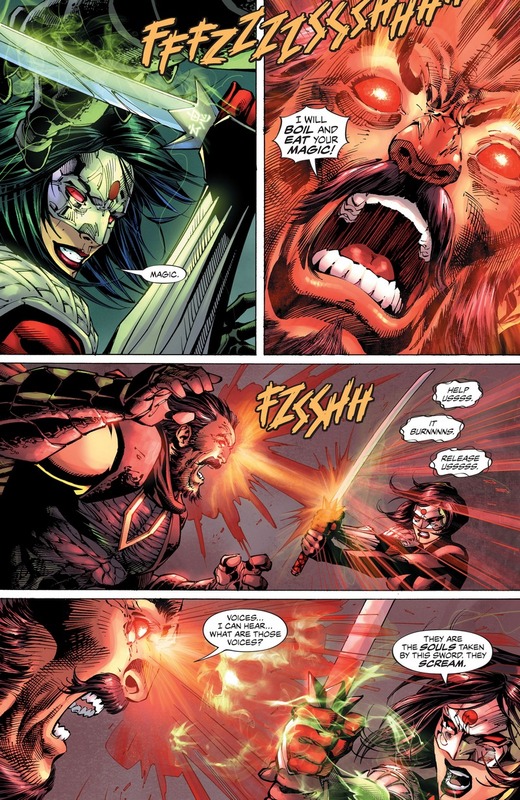 When Zod finally decides to pummel Hack, help comes from a surprising place or person – Katana. … slice Krpytonians in half. 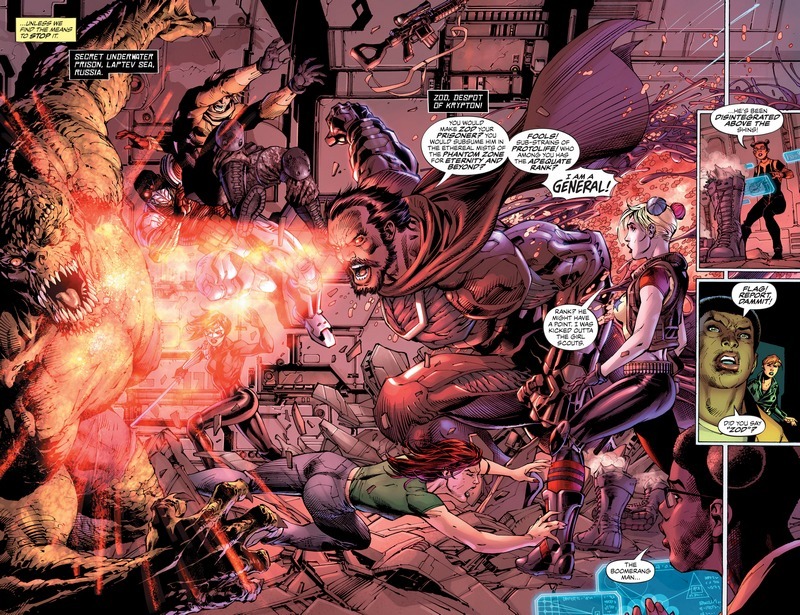 Meanwhile in another part of the battle, Harley Quinn uses this opportunity to escape but sees that reinforcements are coming. 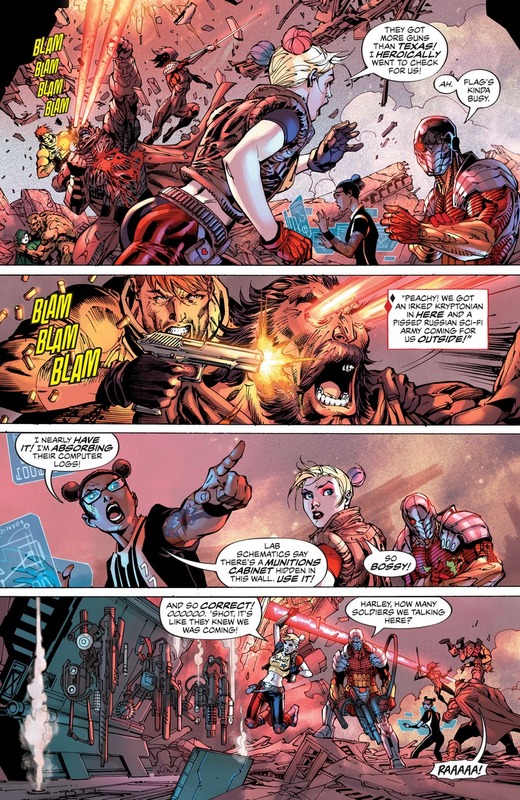 Hack isn’t nowhere near done with what she’s doing but she is able to provide Harley and Deadshot with weaponry they can use to clean the area. But after killing so many henchmen, the duo discover that they are far from OK as the complex has also released these guys. Only three more issues to go before Jim Lee splits for a new project. I’m also enjoying the writing on the book. We’ll be sure to do a post that completes this story arc.